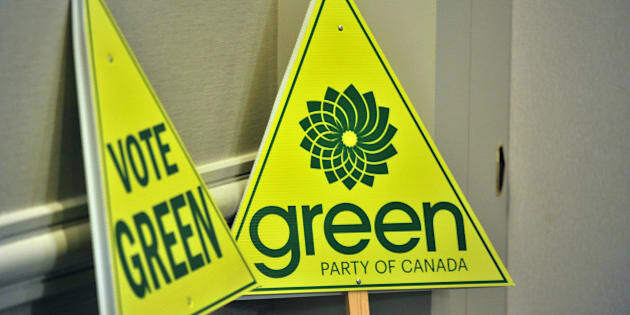 Demonstrating the Green Party's commitment to principled, thoughtful politics, each reason highlights a specific, deep-rooted problem and provides a long-term viable solution. The ultimate goal: build a better Canada for all Canadians, a Canada with a sustainable future grounded in responsible environmental stewardship, social justice and fiscal responsibility. Younger Canadians have good reason to be increasingly concerned about their future and that of our country and world. The Green Party of Canada understands these concerns and offers 25 reasons why Canadians under 25 should vote Green. 1. Make every vote count. Replace the first-past-the-post electoral system with some form of proportional representation; review its operation after the next election; consider mandatory voting and reducing the voting age to 16. 2. Repeal Bill C-51, the 2015 anti-terrorism legislation. Protect civil rights while improving public safety and emergency preparedness. 3. Legalize and regulate marijuana. Amend sentencing laws. Build a justice system that protects Canadians and the fundamentals of our free and democratic society. 4. Constitutionally entrench our right to a healthy environment: clean air, clean water, healthy soil, and protecting the ecological balance in our parks, fisheries, forests, oceans and lakes. 5. Establish vigorous environmental regulation and oversight that includes effective action to eliminate unsafe toxic products. 6. Fund two years of training or further education after high school, and put in measures to help eliminate student debt while entering the work force. 7. Have apprenticeship and training opportunities available for young Canadians looking for work. The Employment Insurance program will be expanded and revamped to include all who are unemployed, lowering or even eliminating premiums in favour of funding from the Government of Canada's general revenues. 8. Ensure all Canadians can work anywhere in Canada, with their training certifications being universally recognized across the country. 9. Introduce a fair and progressive tax regime, which will reduce the widening income gap and support the growing numbers of workers struggling with part-time, precarious employment. Eliminate the countless tax credits and subsidies that benefit Canadians who do not need them. 10. Guaranteed Liveable Income payments will replace the confusing mess of tax credits and subsidies. There will be better support for the growing numbers of Canadians with episodic and precarious work, as well as for our veterans and persons with disabilities. The Green Party will implement a higher federal minimum wage of $15 an hour as soon as practicable. 11. Harmonize business regulations and eliminate the barriers to operating commercial enterprises across Canada. 12. Reduce the small business corporate tax rate from 11 per cent to 9 per cent by 2019. Increase the regular corporate tax rate from 15 per cent to 19 per cent by 2019. 13. Make extensive funding available for basic scientific research, and for venture capital that targets innovative start-ups. 14. Put a national price on carbon and target a carbon neutral economy by 2050; cap oil sands production; and outlaw the transportation of raw bitumen by pipeline, rail or ship. 15. Support food and water security, agricultural sustainability, and healthy food options for all Canadians. 16. Substantially expand affordable, non-profit childcare spaces (to satisfy 70 per cent of demand instead of merely 22.5 per cent). Extend parental leave to cover the first 18 months after birth. 17. Expand the Canada Pension Plan and provide Canadians with the opportunity to voluntarily supplement CPP retirement savings, with guaranteed portability from job to job. 18. Invest extensively in network and digital infrastructure, while ensuring there is greater legal protection for privacy and stronger enforcement of net neutrality. 19. Invest extensively in the varied infrastructure needs of our cities and towns - from transit expansion, streets, parks, water and sewage systems to schools, community centres and public housing. Create an Infrastructure Bank. 20. Expand and strengthen national standards in the range and accessibility of healthcare services across Canada. Eliminate the current two-tier health care that divides Canadians into those with supplementary health care coverage and those without. 21. Establish a federally-led Pharmacare program to cover all Canadians. Slash pharmaceutical costs through bulk-buying. 22. Abolish the Indian Act. Implement the UN's Declaration on the Rights of Indigenous Peoples and work with Indigenous nations to build a framework for consultation consistent with the principles of UNDRIP. Expedite action directed at serious capacity building in First Nations' communities to support Indigenous self-government. Establish ambitious goals to improve health care and education, and address the treatment of Indigenous peoples in the Canadian justice system. 23. Establish a Council of Canadian Governments chaired by the federal government -- encompassing provincial, territorial and municipal leadership, and representatives of Indigenous leadership. This modernization of our federation will ensure the cooperation and reasonable compromise necessary to properly address challenges of national significance by all orders of government. 24. Eliminate the abuse of power by the Prime Minister's Office. End patronage by having all appointments, judicial and otherwise, made through an independent Public Appointments Commission. Restore funding and independence to parliamentary committees. Encourage free votes in the House of Commons. Reform or abolish the Senate with a consultative referendum. 25. Take a vigorous and constructive role in our global community. Seek multilateral solutions to challenges of arms control, human trafficking, peace and security. Rebuild Canada's peacekeeping capabilities and focus on the maintenance of human security. Increase development assistance to 0.7 per cent of GDP. Overhaul immigration and refugee protection system. Focus on immigration as a path to citizenship, not a short-term employment tool. Disclosure: The author is currently senior policy adviser to the leader of the Green Party of Canada.